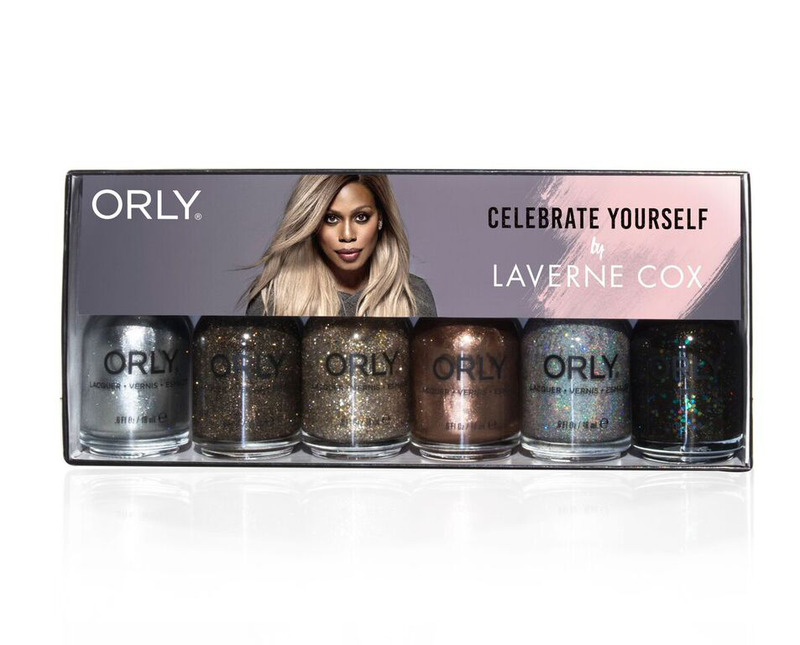 Orly has teamed up with Orange Is the New Black actresss Laverne Cox to launch a nail polish collection called Celebrate Yourself. The six-shades include Shine, Party in the Hills, Halo, Million Dollar Views, Androgynie and cult Mirrorball,. “This collection is about red carpet glamour and giving everyone the opportunity to feel that glamour in their day-to-day lives,” says Cox in a press release provided by Orly. Cox wore one of an elegant metallic and stylish nail look created by manicurist Denise Kelley, at the 69th Annual Primetime Emmy Awards, featuring two shades from her newest color collection. What do you think this nail polish collection by Orly and Laverne Cox? Let us know in the comments below!